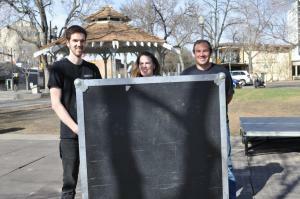 Check out some of our fun behind the scenes creating our campaigns and events we have attended! 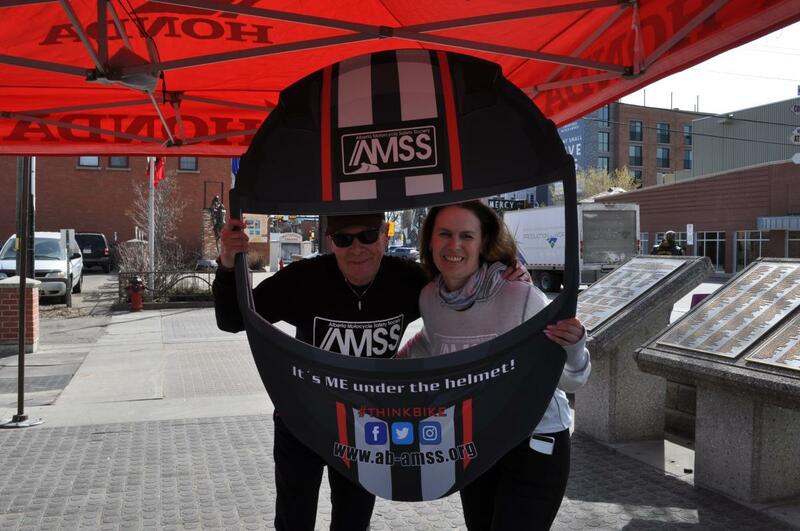 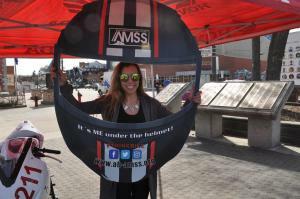 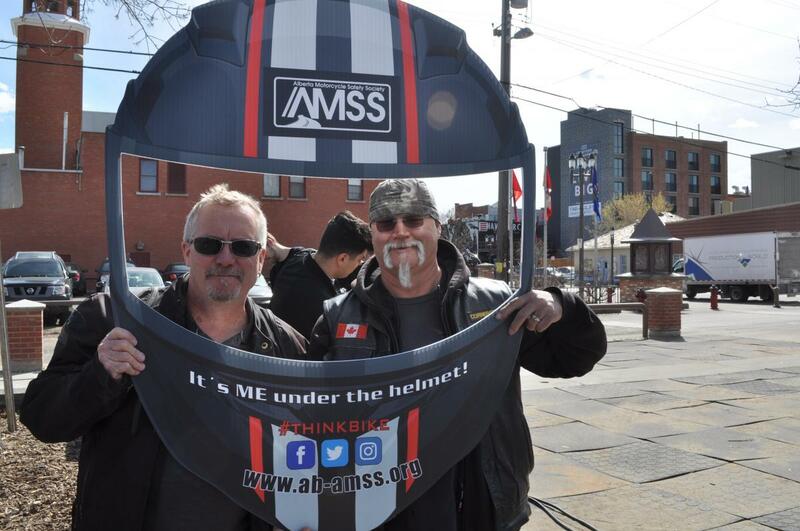 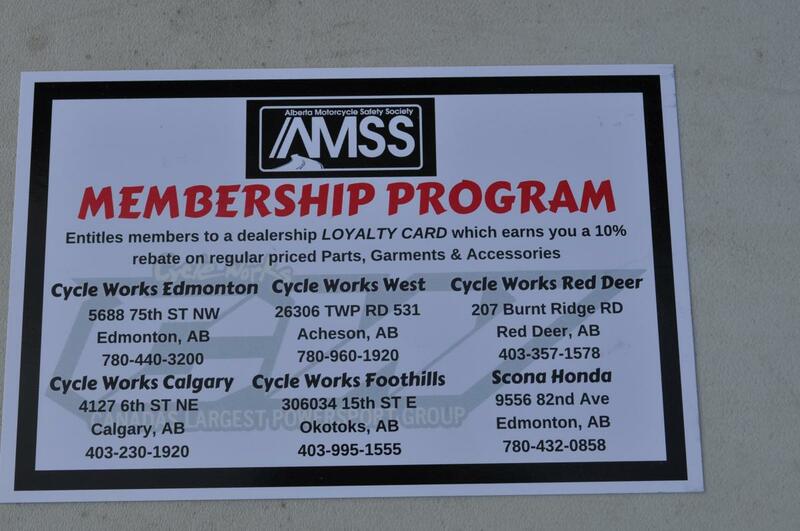 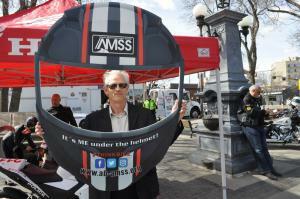 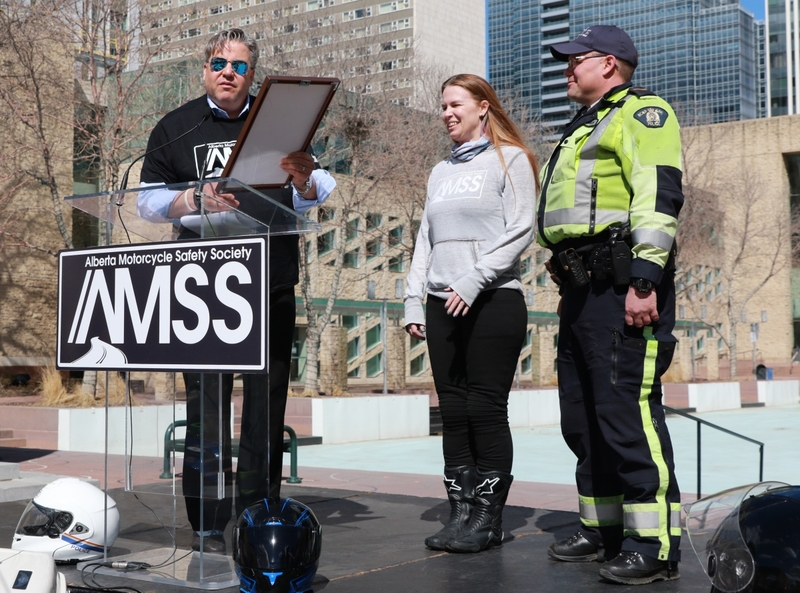 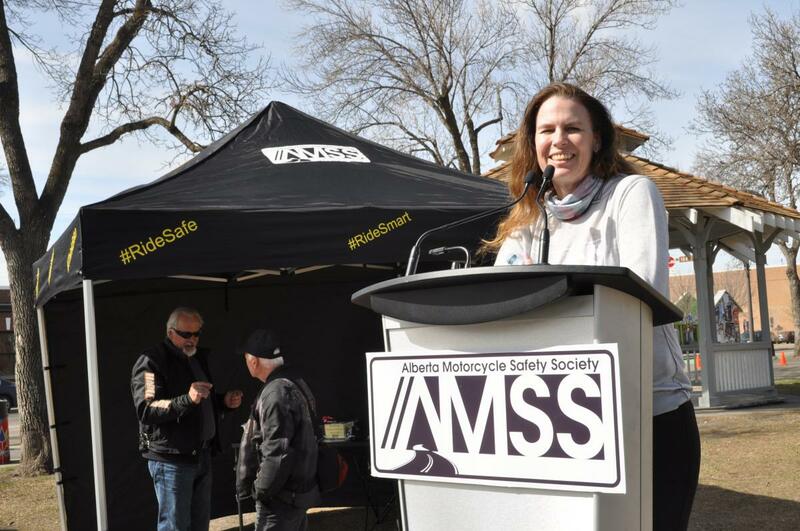 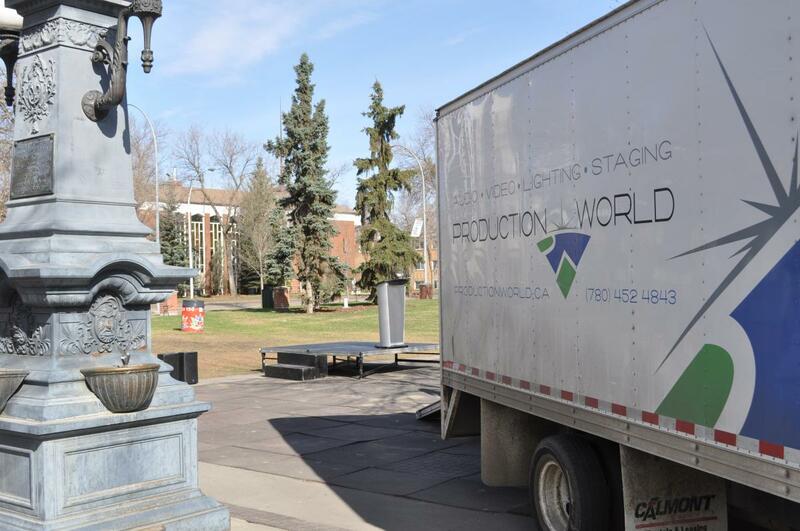 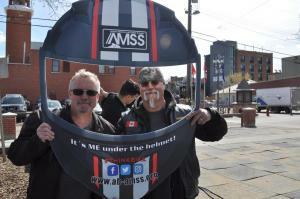 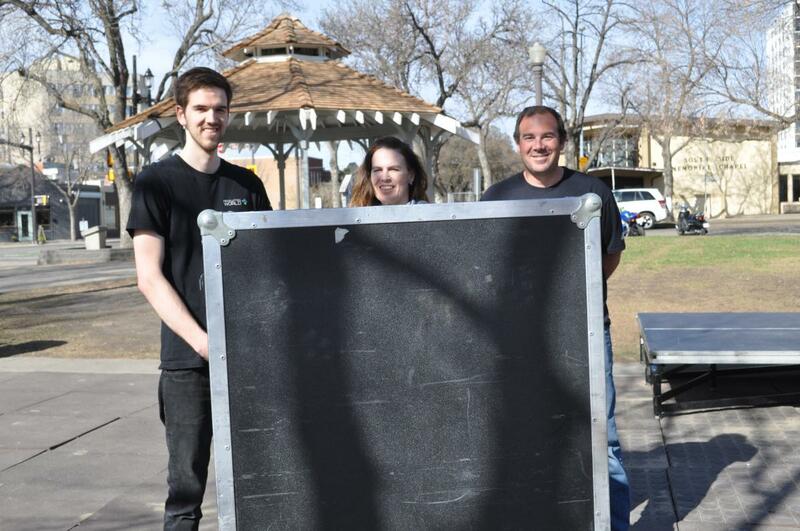 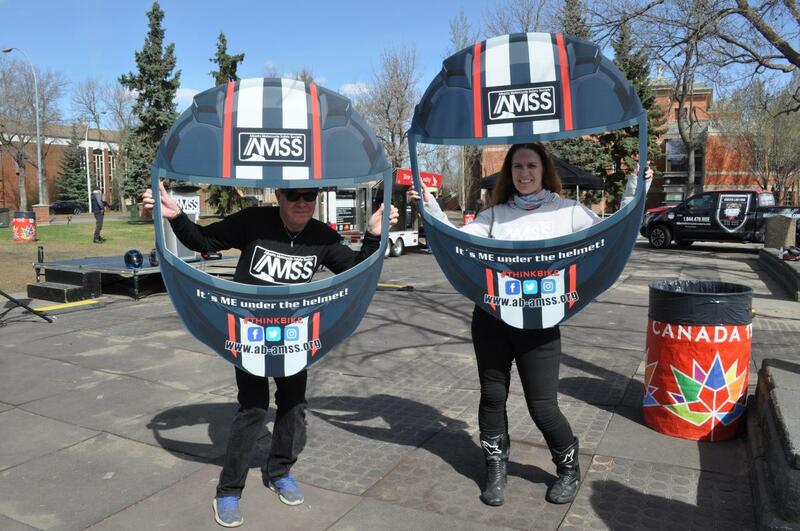 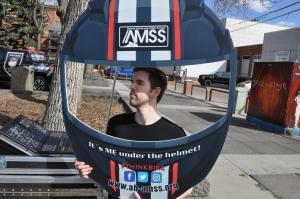 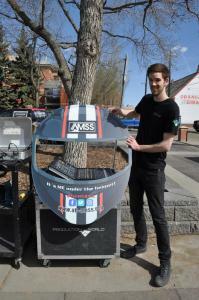 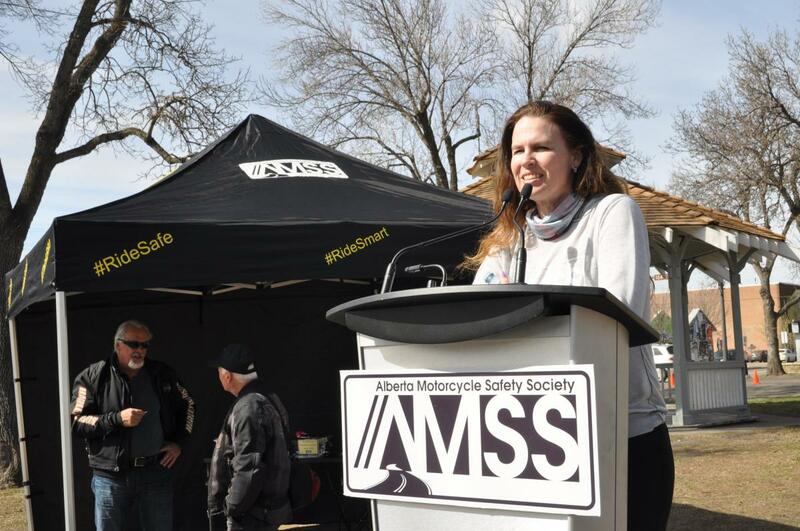 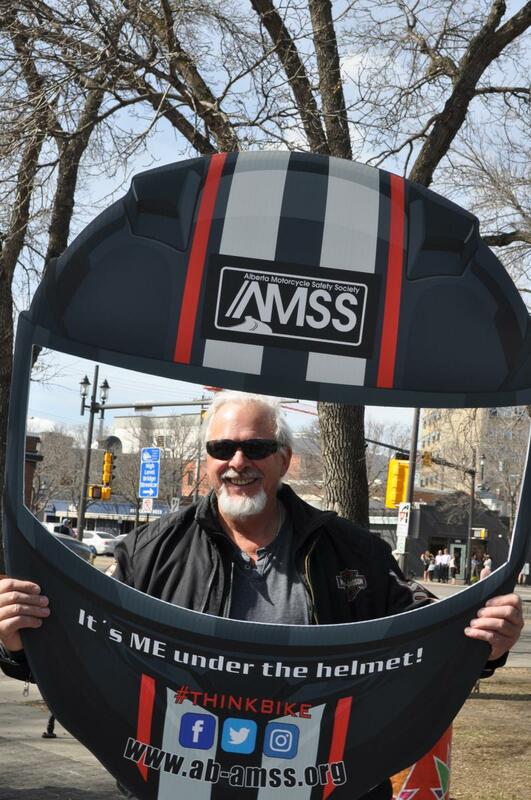 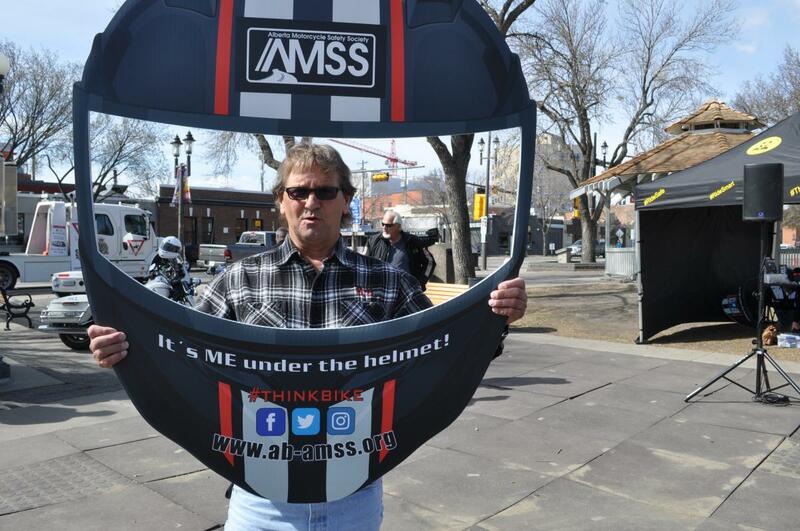 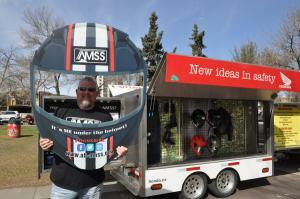 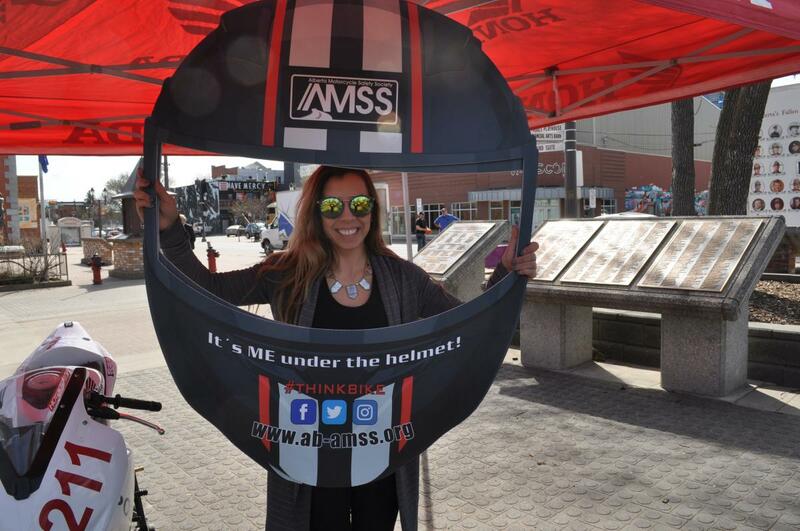 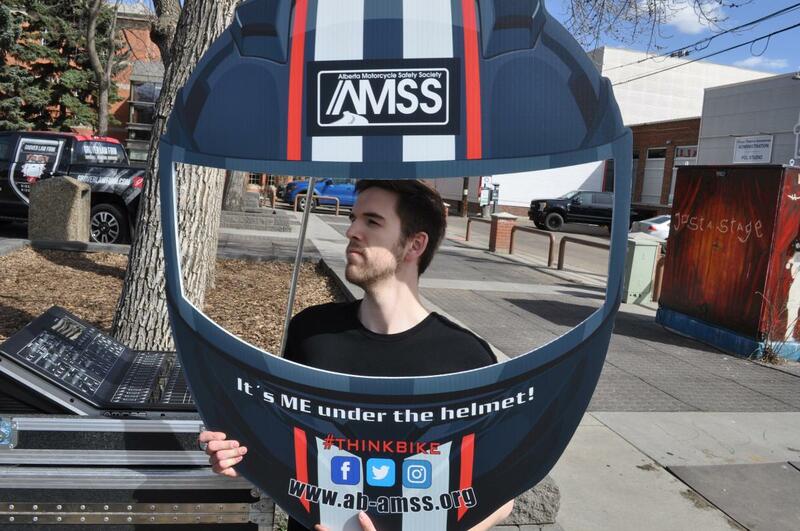 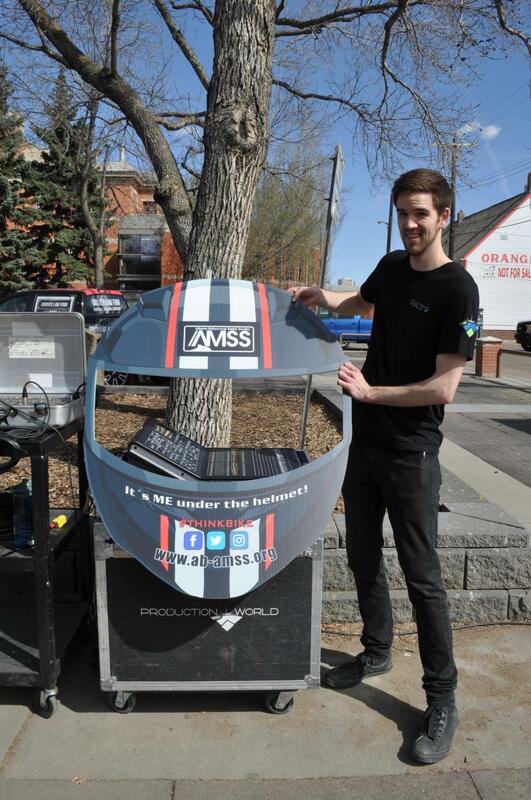 We changed up our location this year and took over McIntyre Park to officially launch the AMSS Campaign for 2018! 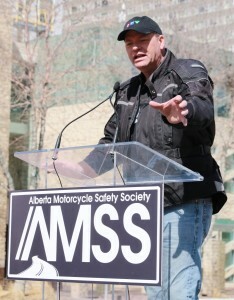 Special thanks to emcee Gord Steinke (Global News), Cst. 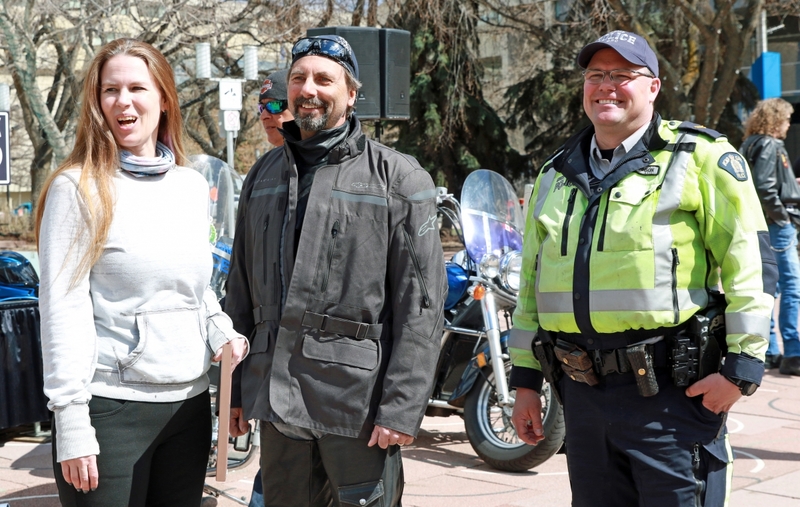 Soloninko (Alberta RCMP Traffic Services), Patti Bligh (Klondike Insurance) and Gerry Shimko (Vision Zero, City of Edmonton). 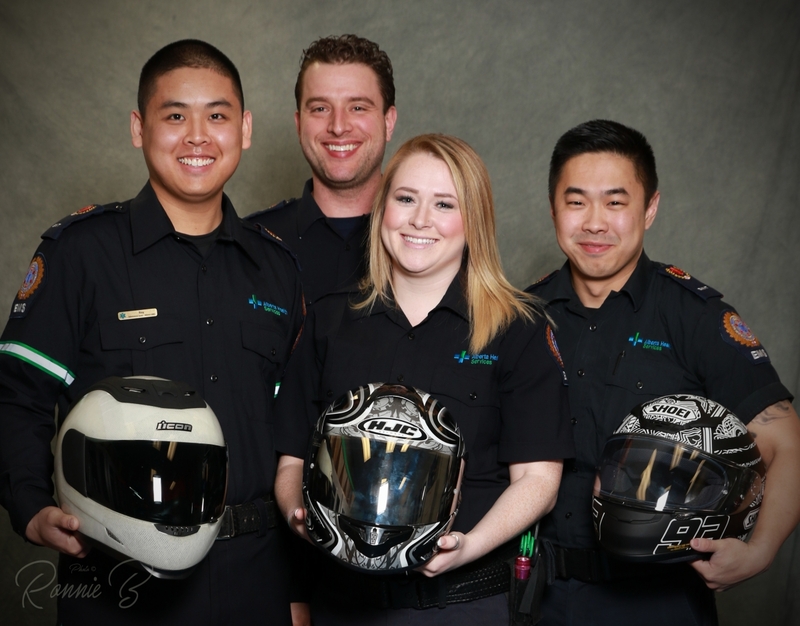 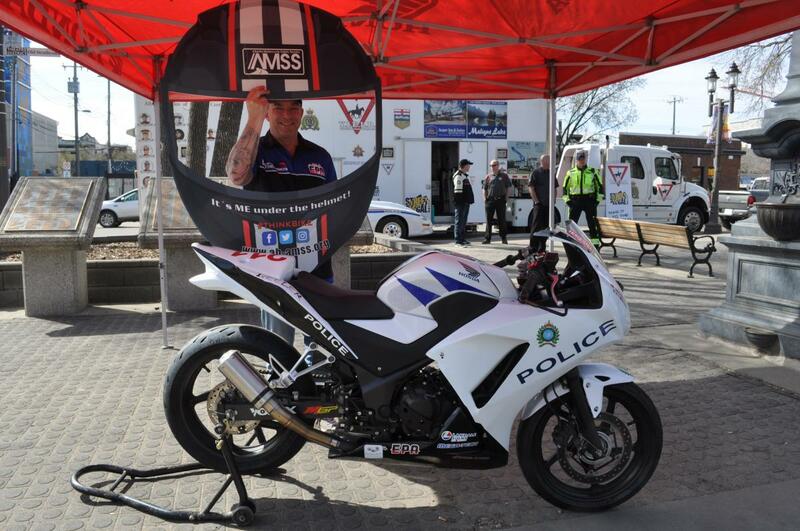 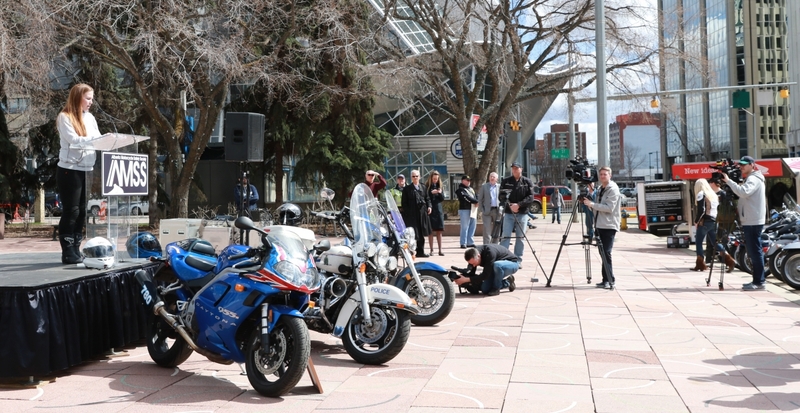 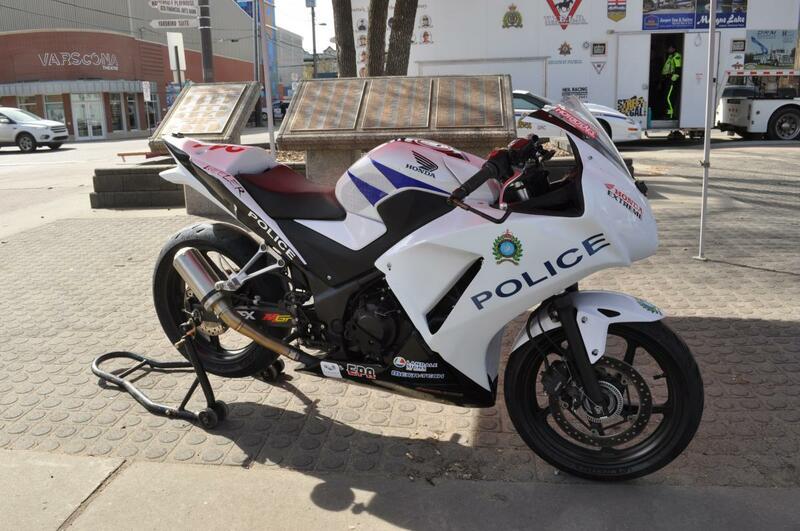 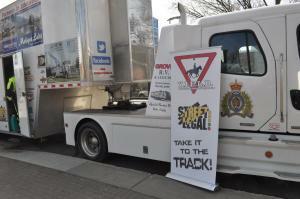 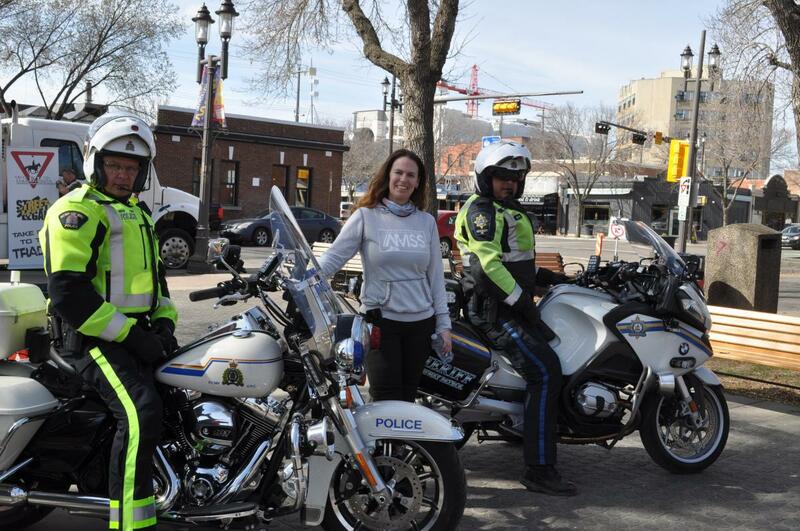 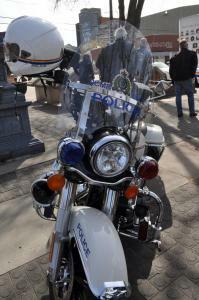 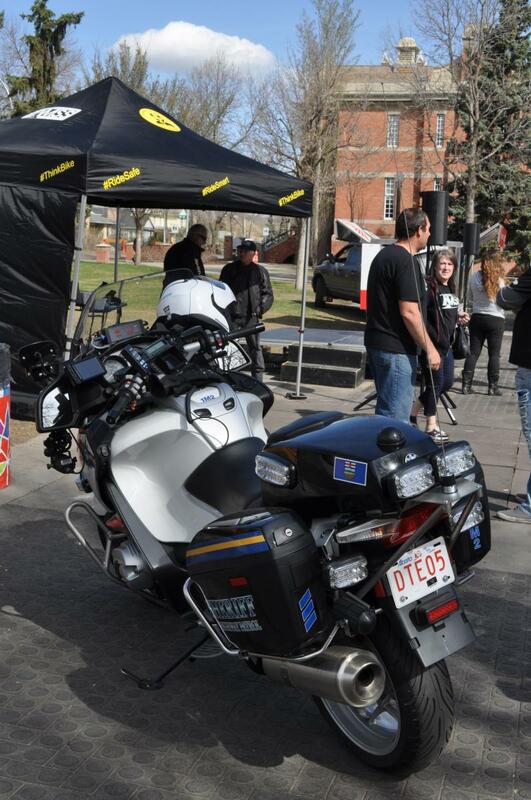 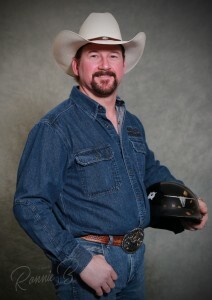 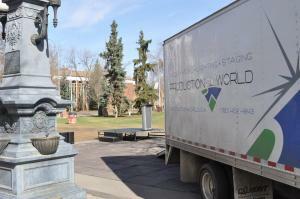 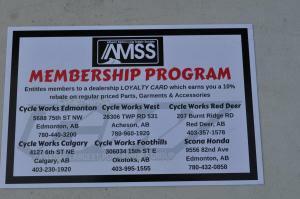 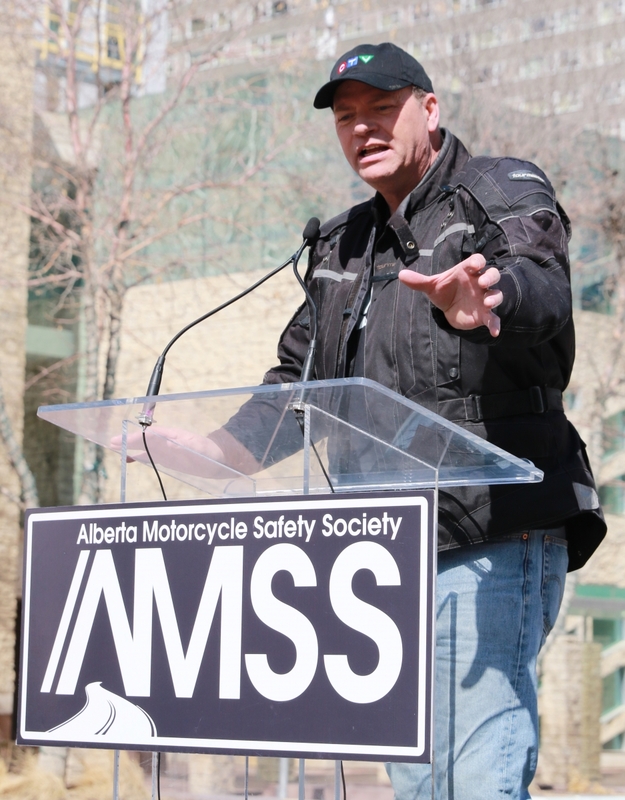 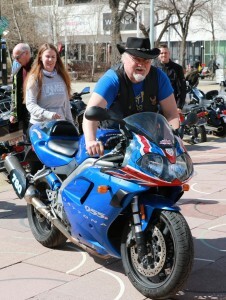 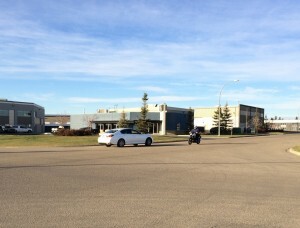 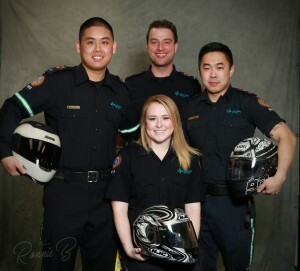 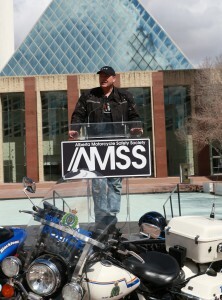 Special thanks goes out to Five-O Motorsports, Alberta Sheriffs, Alberta Peace Officers and Y.I.E.L.D. for bringing down displays demonstrating our partnership with enforcement. 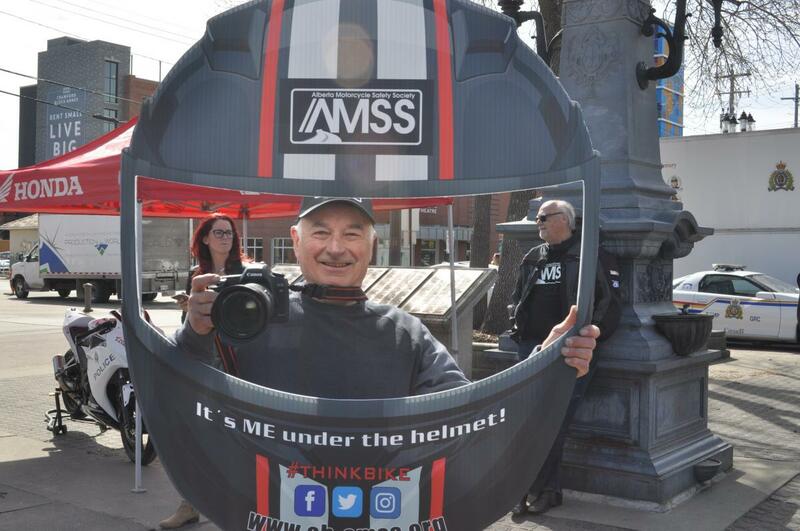 We are also so well supported by our Corporate Members with Cycle Works, Grover Law Firm and Klondike Insurance having displays and Blue Circle Insurance, Echo Cycle and Can Alta Bindery having a presence as well! 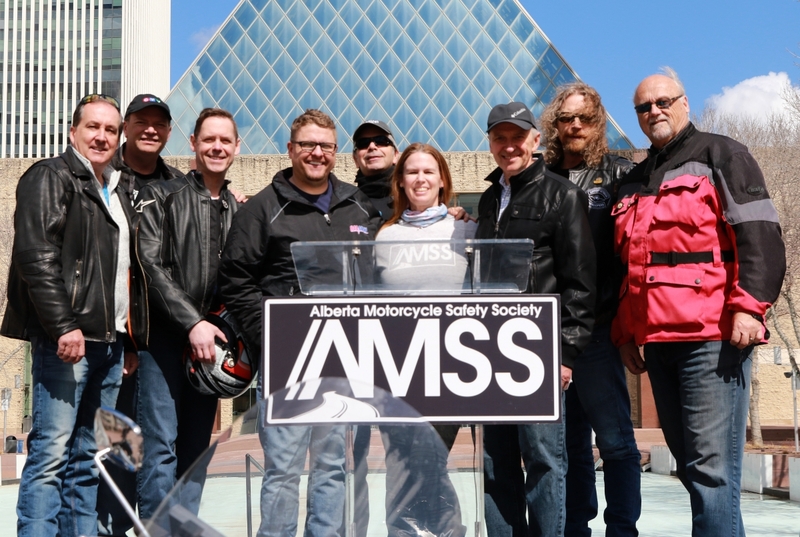 We are grateful to all who came down to participate including most of our media friends who have gotten involved. 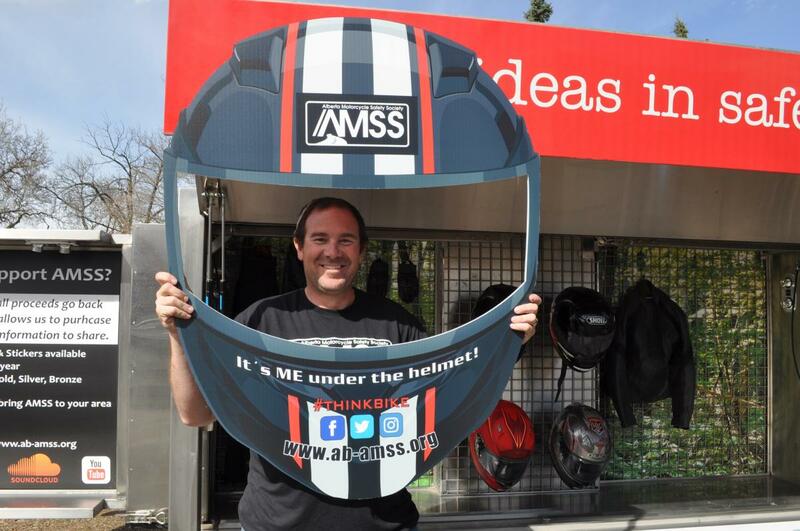 We had a lot of fun with our new "It's me under the helmet" cutouts! 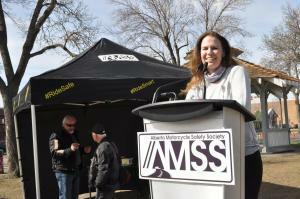 Special thanks to board member Doug McFayden for capturing so many great moments for us from that day! 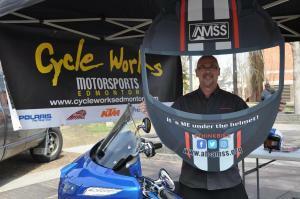 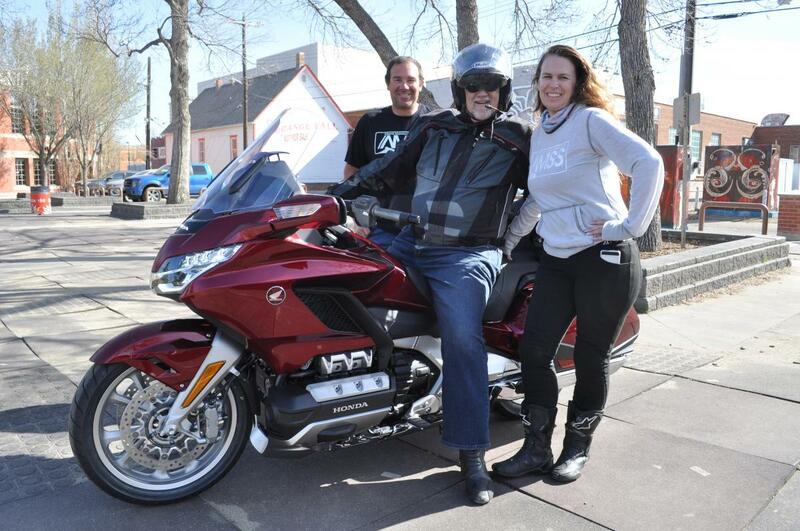 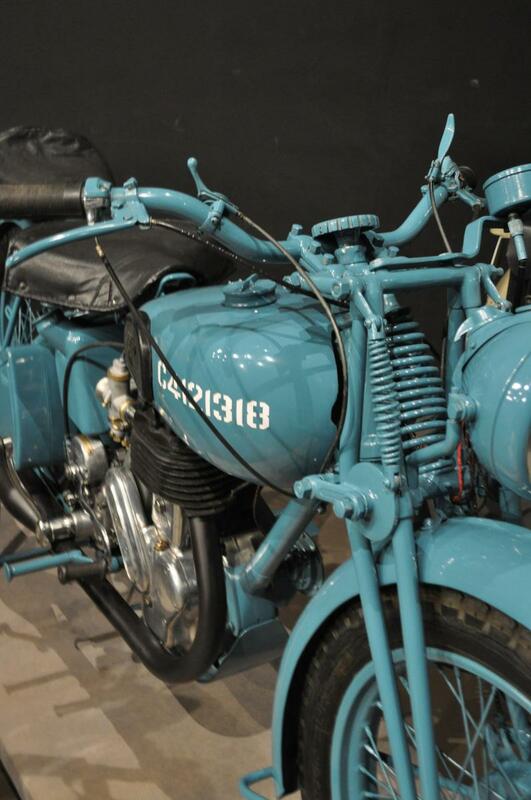 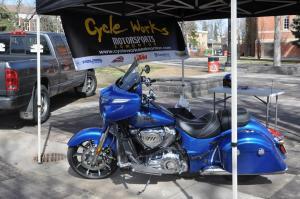 We spent the day with Honda Canada at the Ride to Reynolds on August 19! 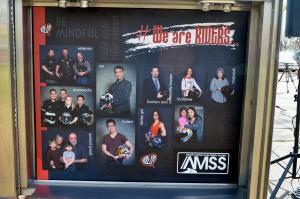 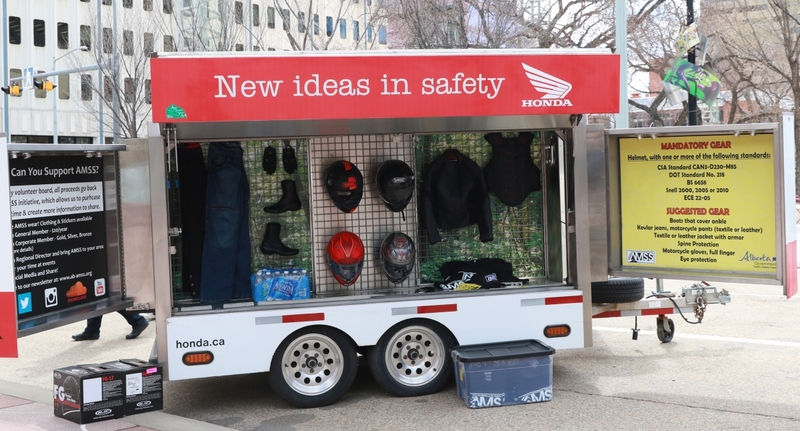 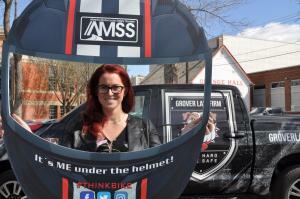 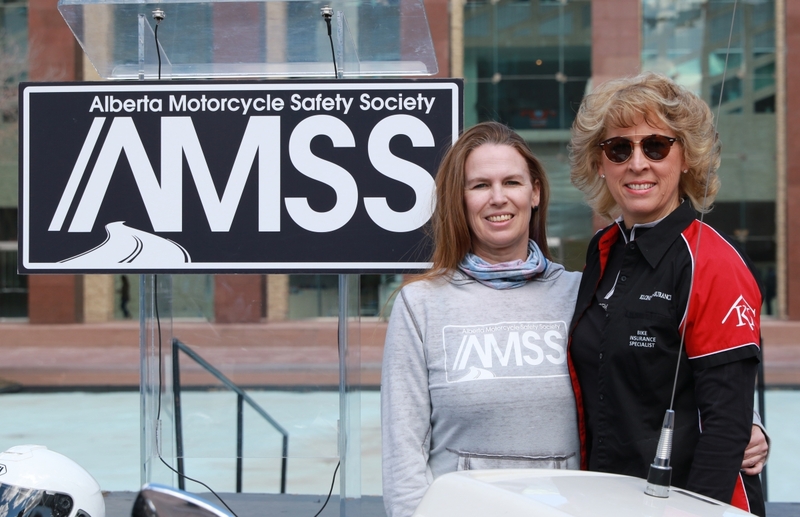 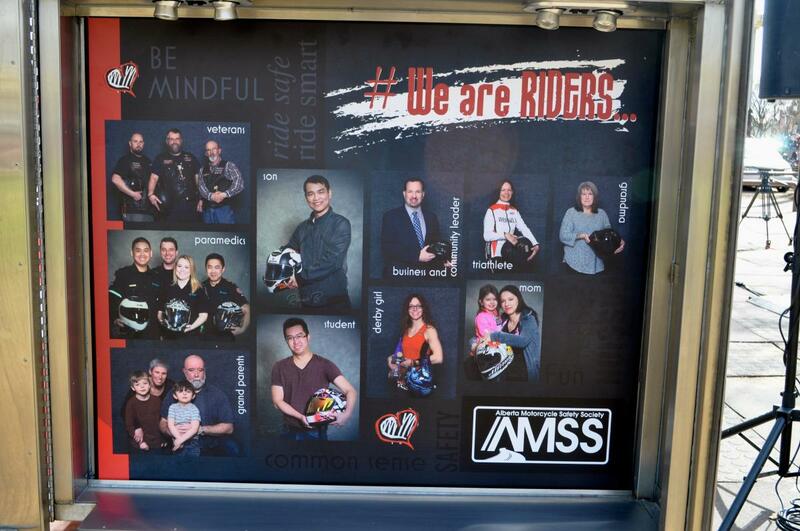 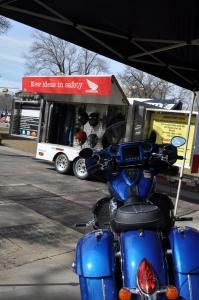 Thank you to Honda Canada for having us and to everyone who came by to talk motorcycle safety and awareness. 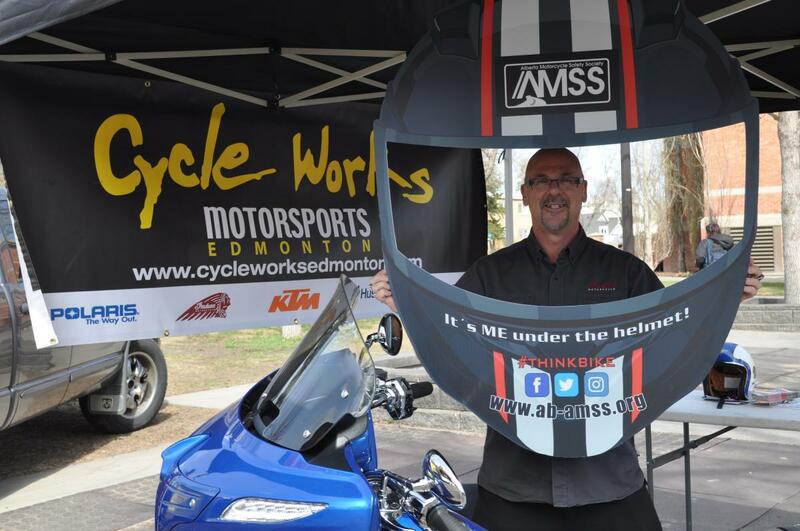 We spend an afternoon at Silver Member Riverside Honda & Skidoo hosting a hot dog fundraiser at their Come Ride with Us event! 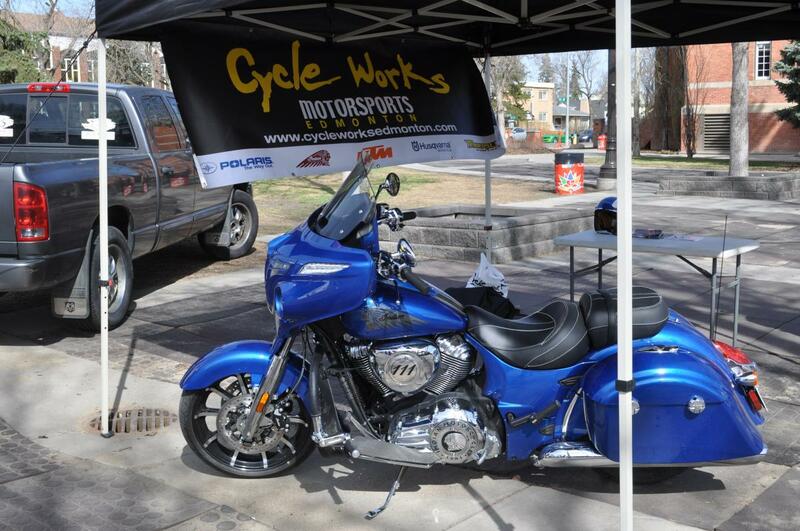 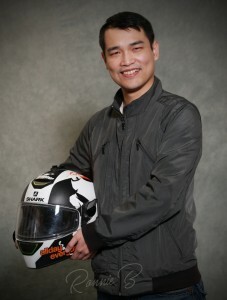 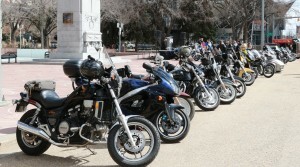 We were blessed with great weather, a lot of support and Honda demo rides! Special thanks to Doug McFayden for capturing the memories from the day! 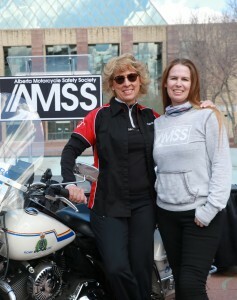 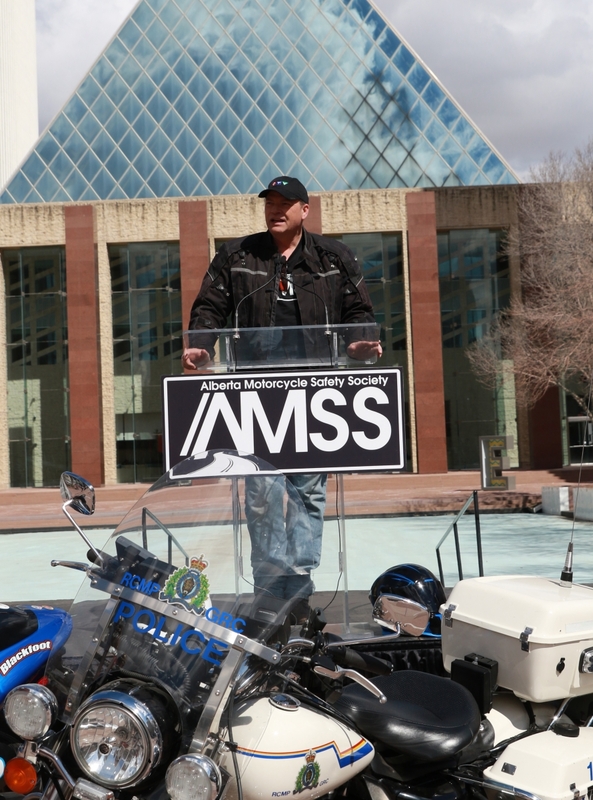 We descended upon City Hall to officially launch the AMSS Campaign for 2017! 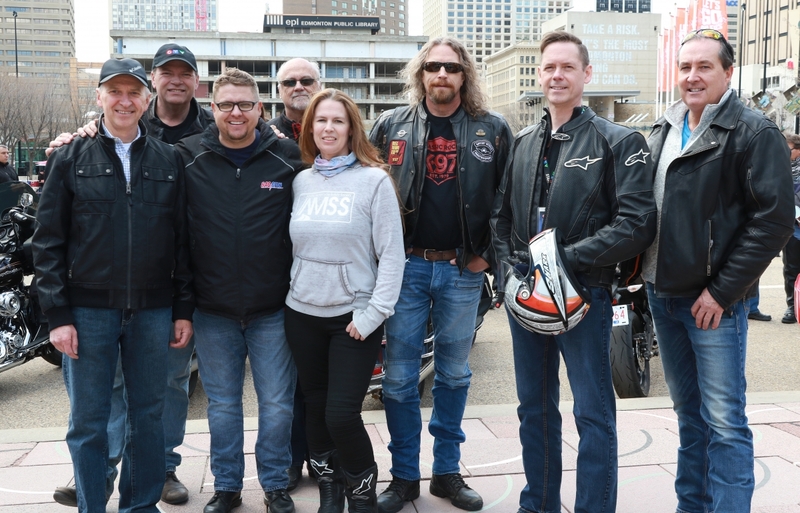 Special thanks to emcee Daryl McIntyre (CTV), Councillor Dave Loken and Corporal Johannson of the K Division Motorcycle Unit. 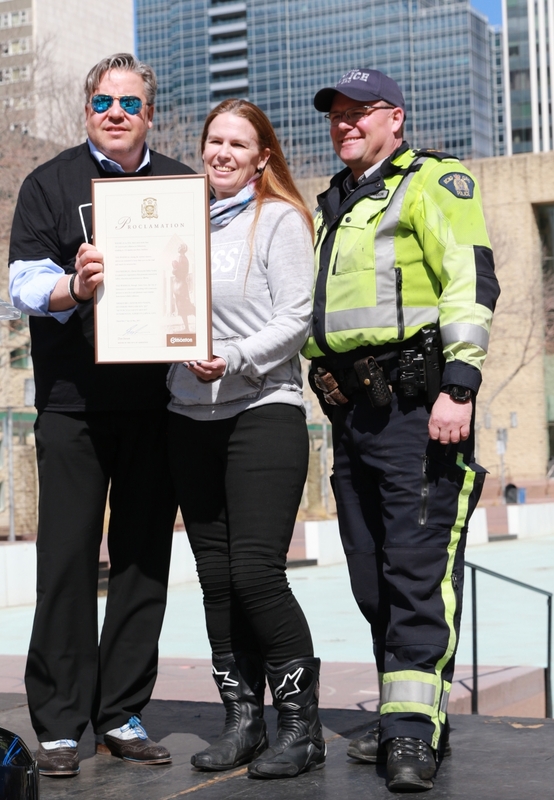 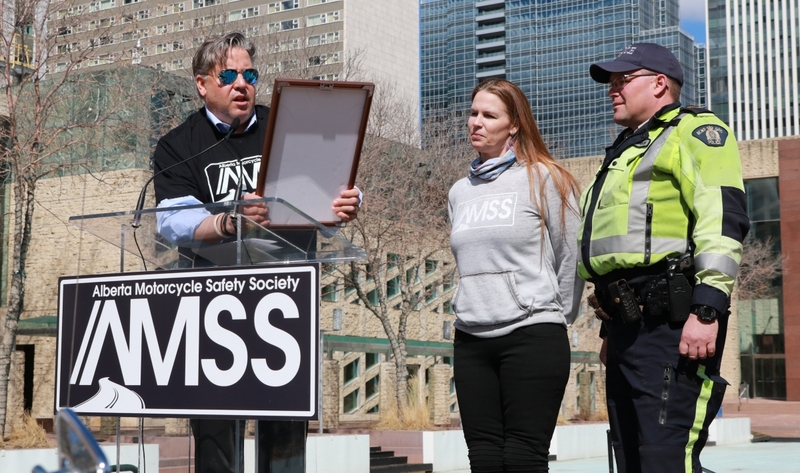 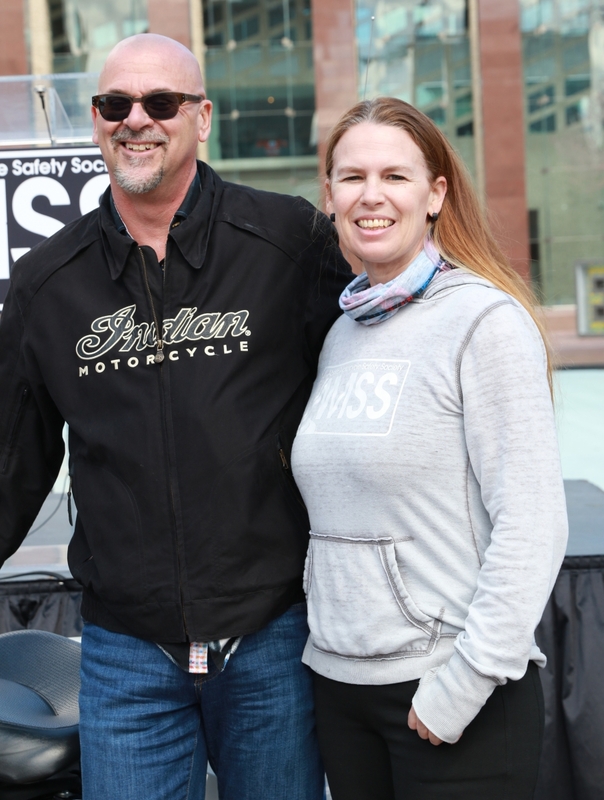 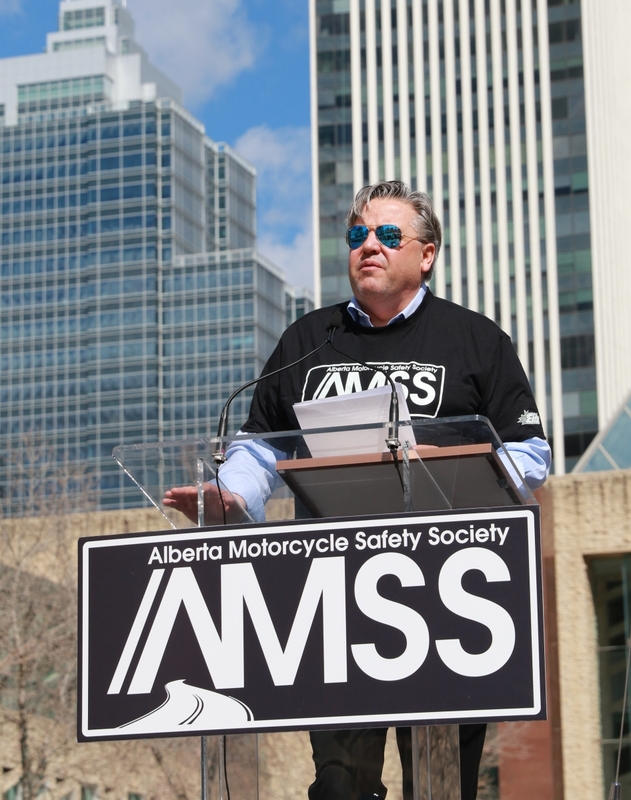 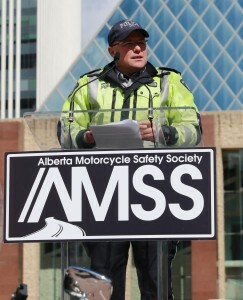 Proud moment was receiving a Proclamation from the Mayor via Councillor Loken where the City of Edmonton officially declared May as Motorcycle Safety Month. 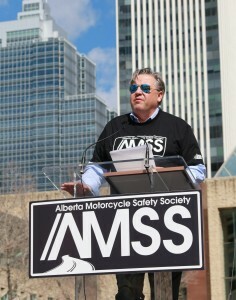 We are grateful to all who came down to participate including most of our media friends who have gotten involved. Special thanks to Ronnie Brideau for capturing so many great moments for us from that day! 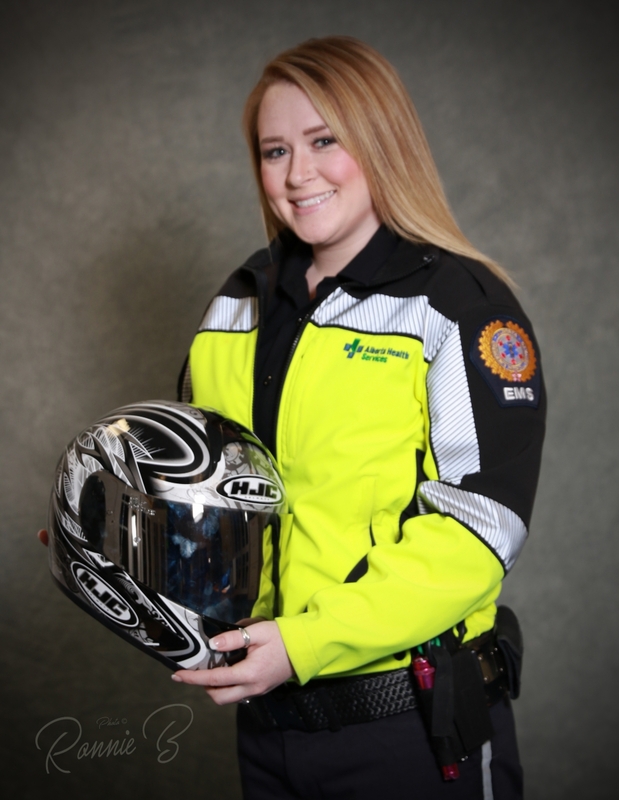 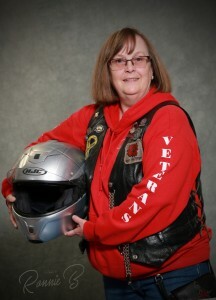 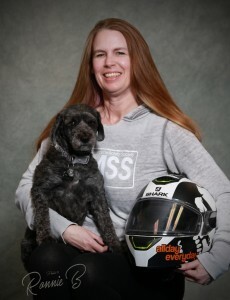 We followed up with the 2016 version to add more people to this special campaign that focuses on the everyday person who rides a motorcycle to serve as a reminder to all on the road that we are someone’s somebody. 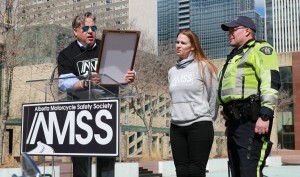 We understand we have a few that are noisy or ride without care but it is a small minority of our community and we don’t deserve to all be painted with the same brush. Whether we are parents, paramedics, tradesmen, children or more, we and our loved ones would appreciate you looking out for us so we get home in one piece. 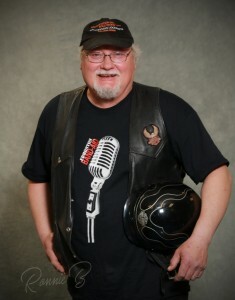 Special thanks to Ronnie Brideau for these wonderful stills of everyone who came out to the shoot. 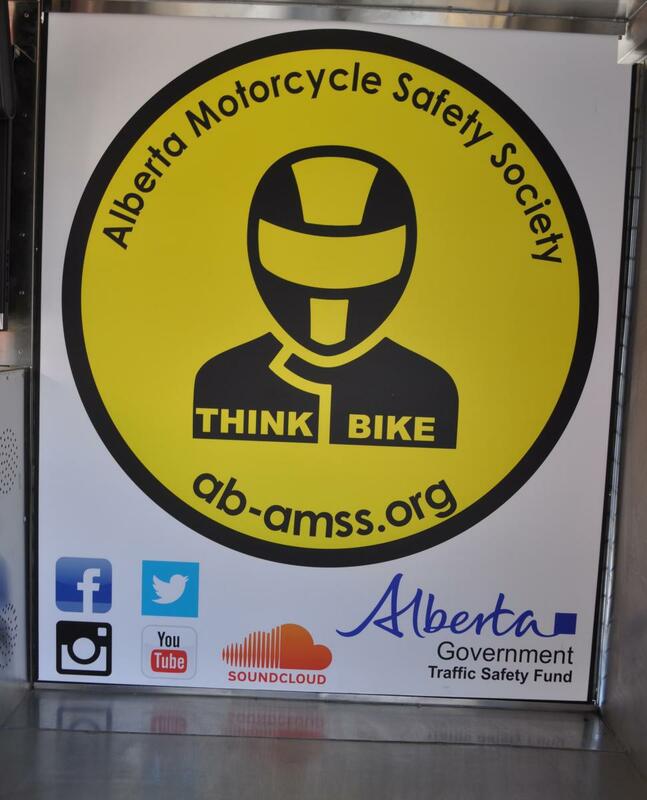 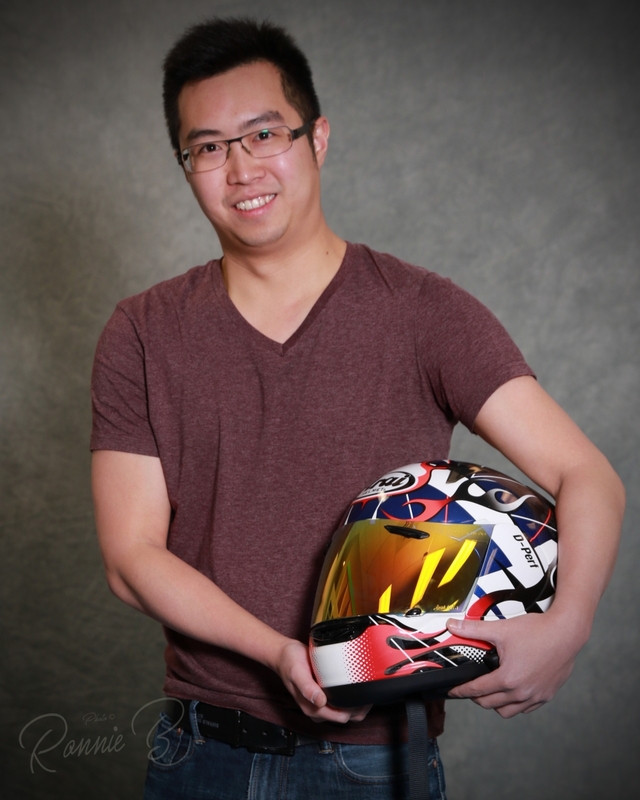 We partnered with EAGR (Edmonton & Area Group Rides) to hold a fundraiser supporting the kids of the man we lost in the Pigeon Lake, AB accident on July 23, 2016. 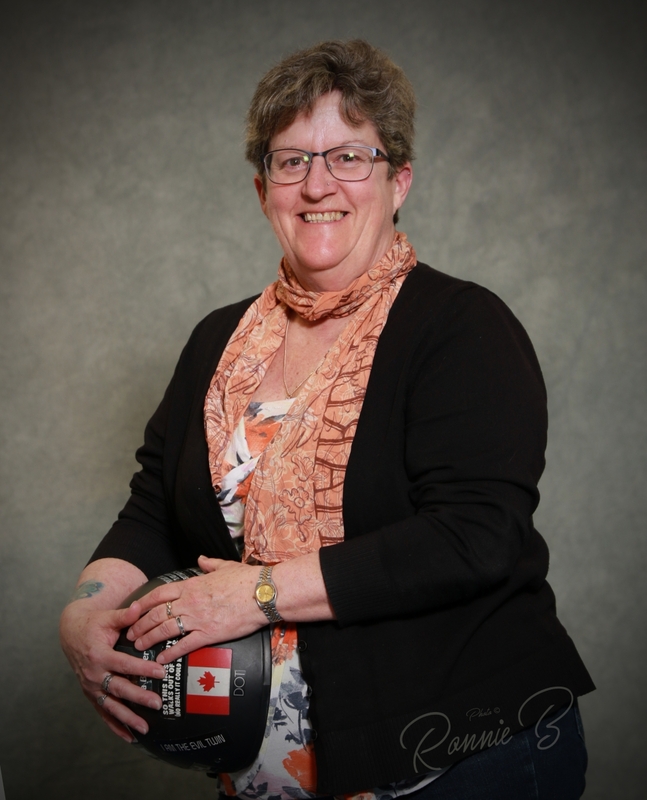 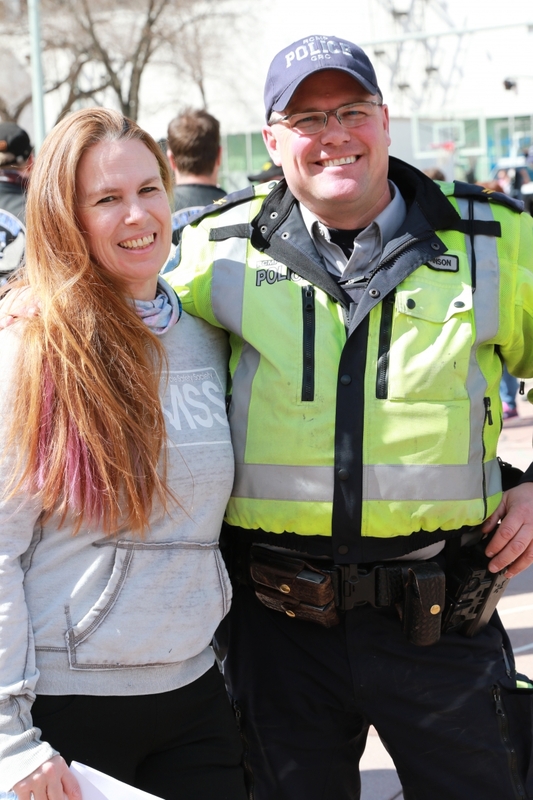 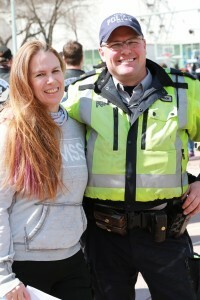 Our resident photographer Ronnie Brideau came out to capture some memories of the support from our community. 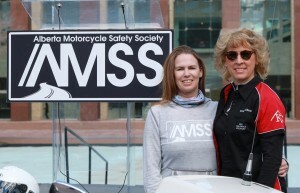 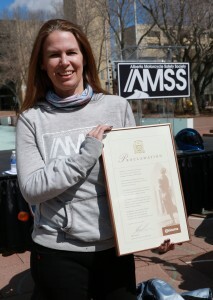 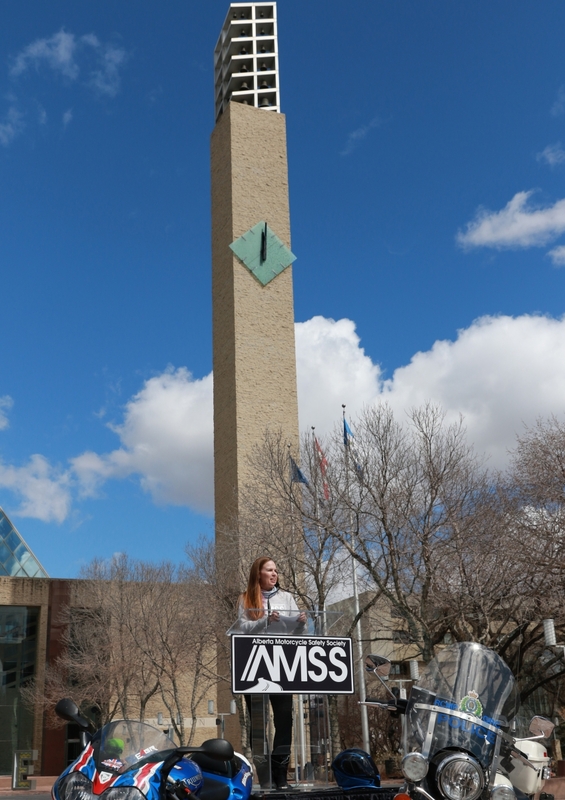 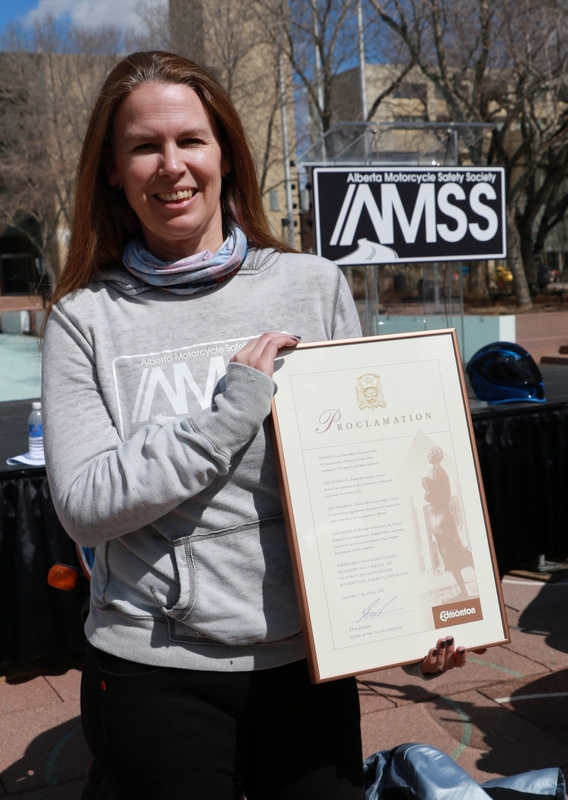 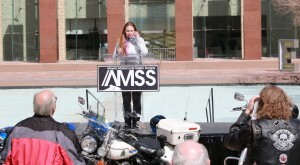 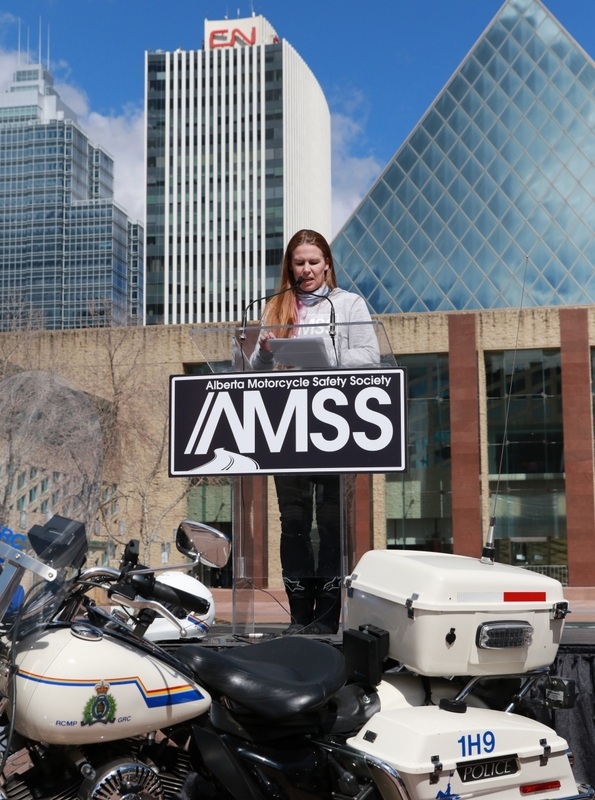 We descended upon City Hall to officially launch the AMSS and our first campaign! 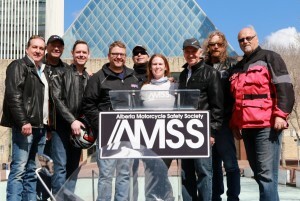 We are grateful to all who came down to participate including most of our media friends who have gotten involved. 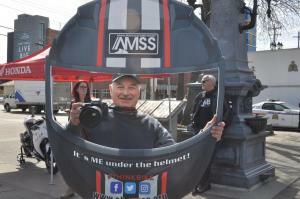 Special thanks to Ronnie Brideau for capturing so many great moments for us from that day! 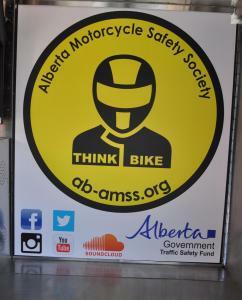 This campaigned focused on the everyday person who rides a motorcycle to serve as a reminder to all on the road that we are someone’s somebody. 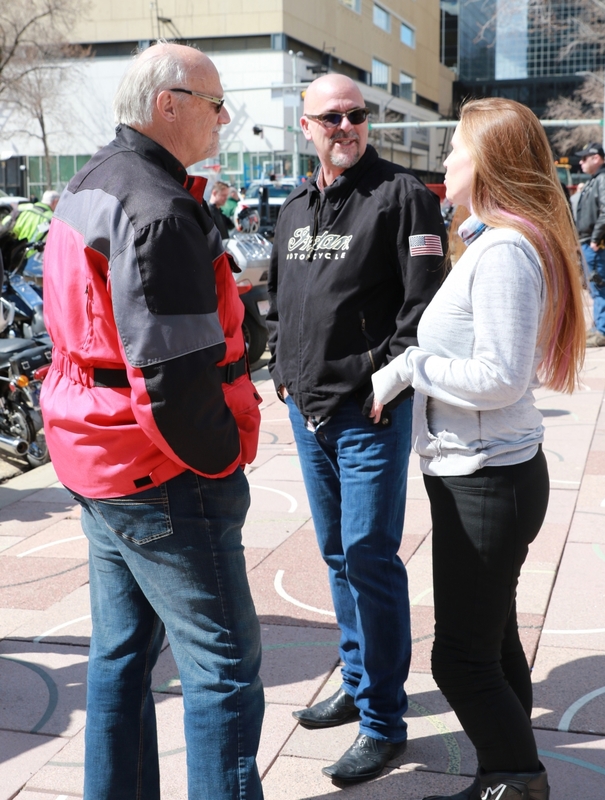 We understand we have a few that are noisy or ride without care but it is a small minority of our community and we don’t deserve to all be painted with the same brush. 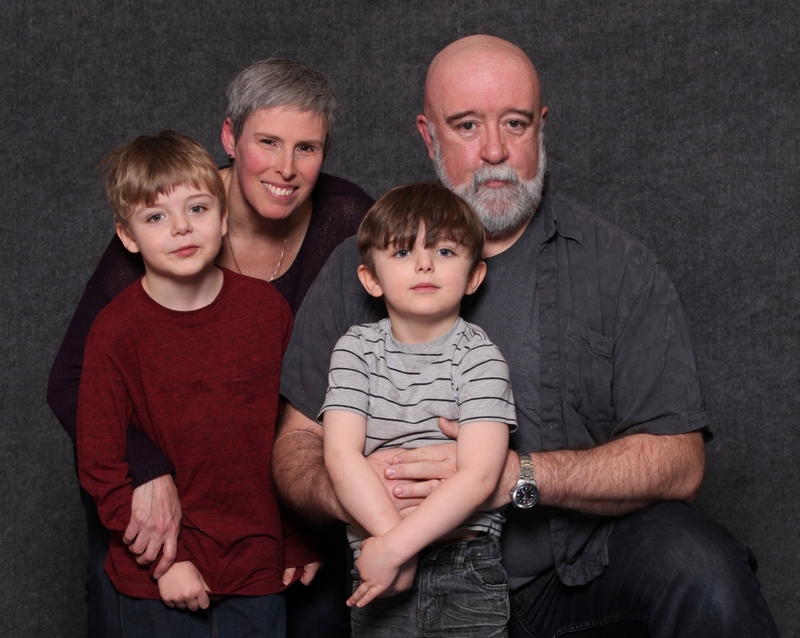 Whether we are grandparents, business professionals, triathletes, daughters or more, we and our loved ones would appreciate you looking out for us so we get home in one piece. 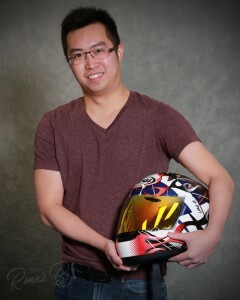 Special thanks to Ronnie Brideau for these wonderful stills of everyone who came out to the shoot. 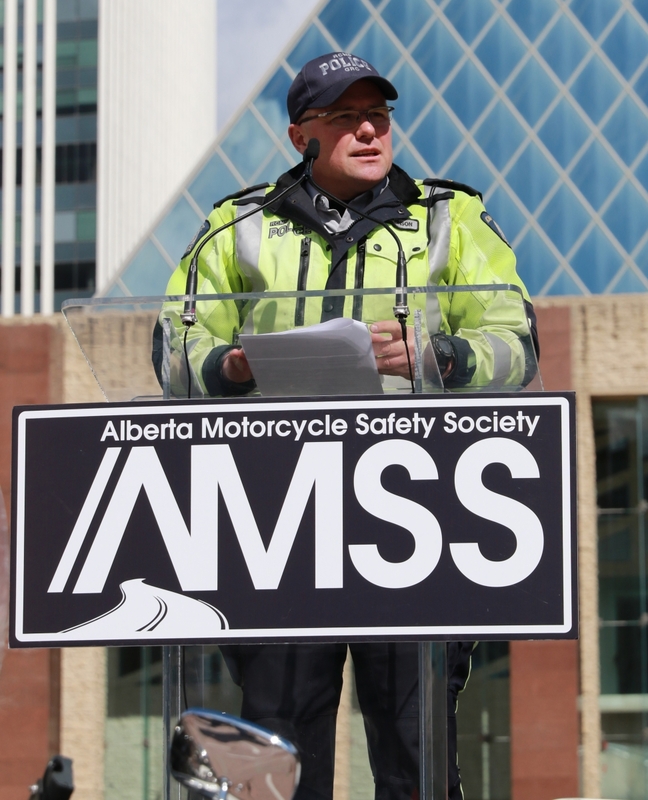 Some behind the scenes candid shots taken during the filming of our first safety campaign! 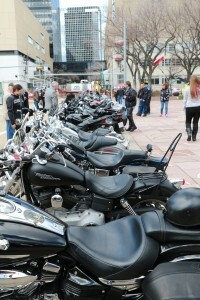 Some are from the We Are campaign and some are from the Left Turn campaign. We had an amazing time shooting these commercials and thank everyone who came out to participate. 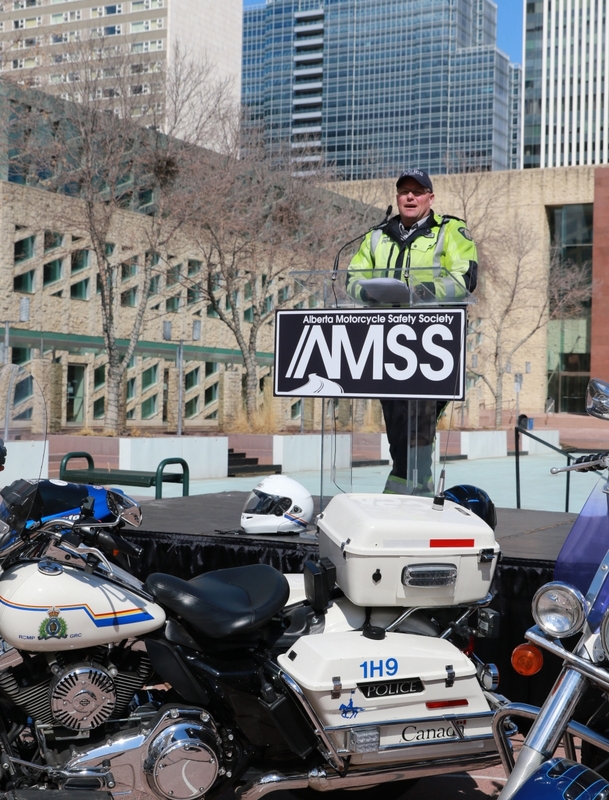 Special thanks to James and Henry from CTEC Motorcycle Training for reenacting the left turn scenario helping us create a compelling piece demonstrating the dangers of this situation.